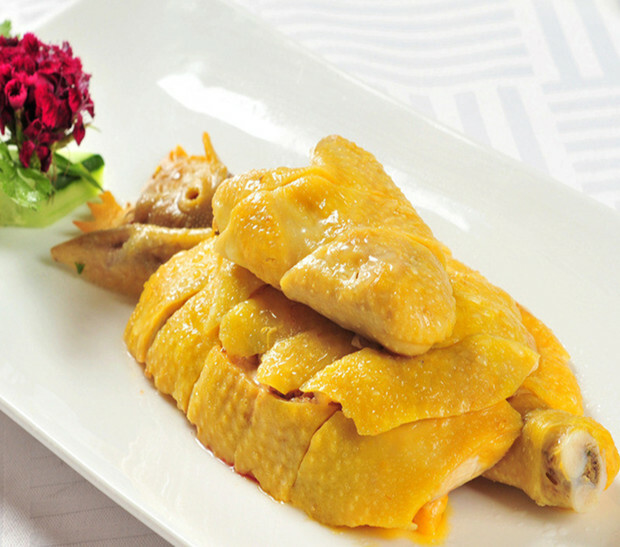 Introduction: White cut chicken is a traditional, common chicken dish in Cantonese Cuisine with great presentation and taste. It is easy-to-make and cooked in its entirety in hot water without other ingredients to keep its original flavor. White cut chicken is light and delicious. The chicken’s skin is light colored, nearly white and the meat is quite tender, moist, and flavorful. A condiment usually accompanied by combining finely minced ginger, green onion, salt and hot peanut oil. Additional dips can be spicy mustard, hoisin sauce, soy sauce, oyster sauce, or chili pepper sauce. The famous Panxi Restaurant white cut chicken was once awarded the Jingding Award for high quality products by the Ministry of Commerce.